Last week on Dancing with the Stars, Bindi Irwin did an emotional dance tribute to her father. If you’ve watched it you know, it was moving. Especially if you see the reasons behind the dance and the emotions she experienced as Derek Hough and her prepared. But it also made me think. 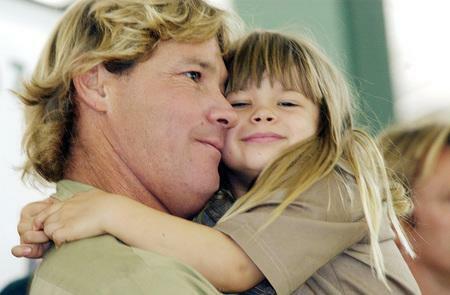 I was a fan of Steve Irwin and was sad when he died. It’s sweet to see his daughter growing into such a woman of conviction, authenticity and grace. The reality is, if we are followers of Christ shouldn’t our lives be lived that same way? Shouldn’t our work, whatever it is, be filled with dedication to the One who gave us life, physical and spiritual? As I write I hope my words will give testimony to the One who gifts me to do so. Every day, every action I can take should be out of dedication and devotion to the One who loved me first. The One who numbers my days. He is the One who sustains me after all. It might not make people cry, but as much as Bindi’s dance reminded us of the vitality and impact of her father on the world to those who knew him (and possibly now to those who didn’t as well), how much more should ours invite others to see Christ in a new light. Now we’re not perfect and all my efforts will be a dim reflection of His glory, but still, if my intention and worship is evidence in my actions, wouldn’t He be more glorified in this dark world longing for beauty and hope? The kind of beauty and hope only Jesus Christ can bring? Dance on . . .